Many older adults are faced with a serious issue as they continue to age. As they age, many of these seniors become separated from their immediate family. And even for those whose family is nearby, with the world as busy as it is, it is difficult for the average family to find the time to take care of the older generations. These elders need assistance on a day to day basis, professional help is expensive, and many times, trusting younger adults can seem risky. This is where we came up with the idea for our application. We wanted to give an affordable, fast, and safe alternative to meet this growing need. 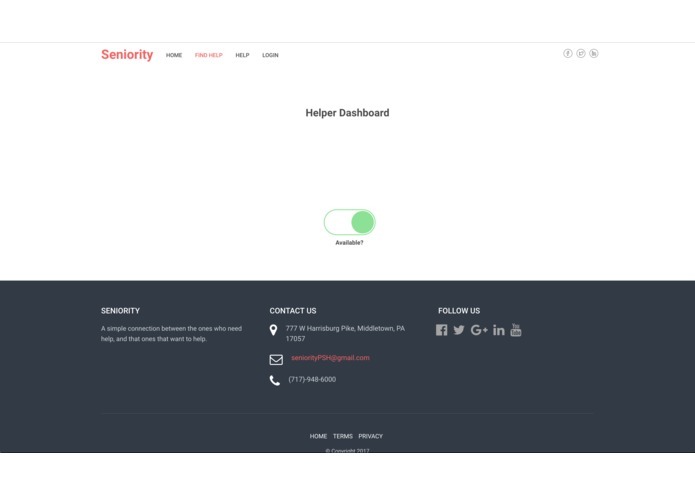 Our application provides an easy to use portal for seniors to obtain almost immediate help completing everyday tasks and needs. 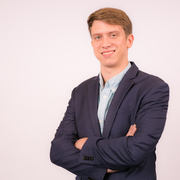 It also provides a mobile platform for young adults to use to make some extra money. 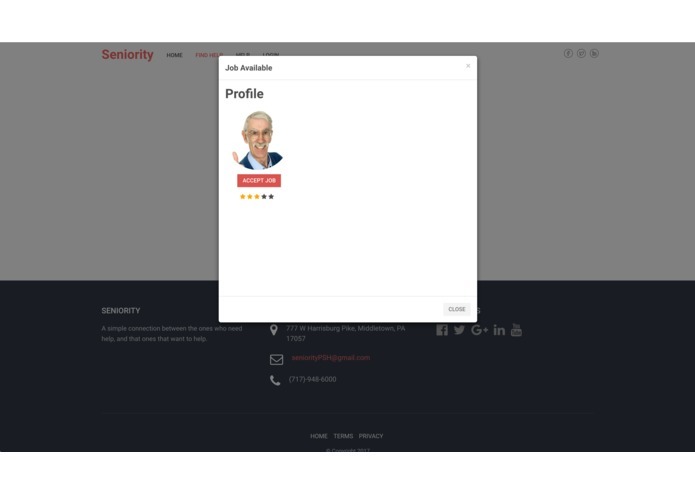 Our application allows seniors to create a personal account, which saves their information. 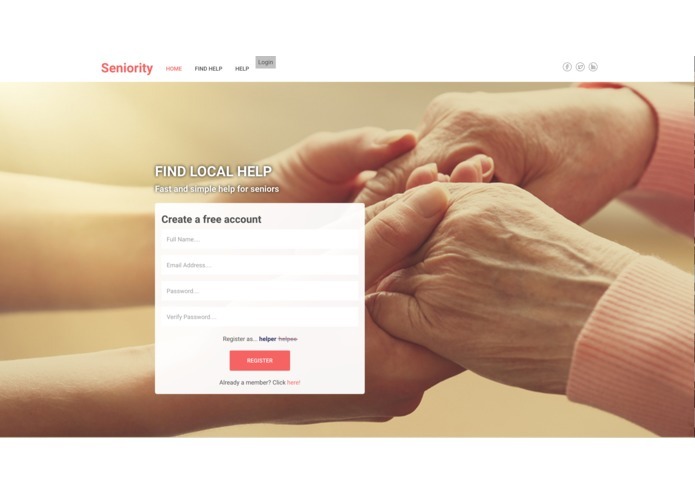 From the elderly user's perspective, upon login, the application immediately allows them to see if there are any young adults in the immediate area who are available to help. 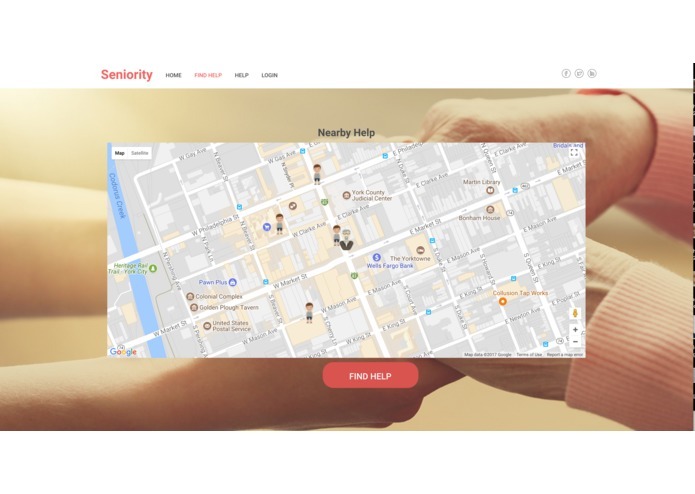 Then with just the click of a button, they are able to request one of these nearby people to come to help them. When the request for help is sent the nearest and helper is notified that someone is requesting their assistance. Then the helper can accept the job and then the elderly person will be charged by the hour for the work provided. When the helper is finished they end the job from their phone and the transaction is handled by our payment API. From the helper perspective, when they login they are able to make themselves available by clicking a switch. When this switch is activated, the helper is made visible to potential helpees. If there is a person who needs help, and the helper is active, and he or she is the nearest helper, they will receive a request to help. From there, the helper can accept or deny the job. When they are prompted with a window where they can see the length of the job. On this page, there is a button where they could end the job. When the job is ended the helper is told how much he or she made from that specific job and they are led back to the dashboard. One of the challenges that we ran into was communicating between users. The helpers had to be able to request helpees and helpees had to be able to accept the jobs. Then they needed to be able to complete a payment. This posed a challenge because with many users keeping everything in order was difficult. Also, another challenge was version control. Even using git and git-hub we still had version control issues that almost completely derailed the project. At one point, we had to revert almost four commits back because of an error we had. 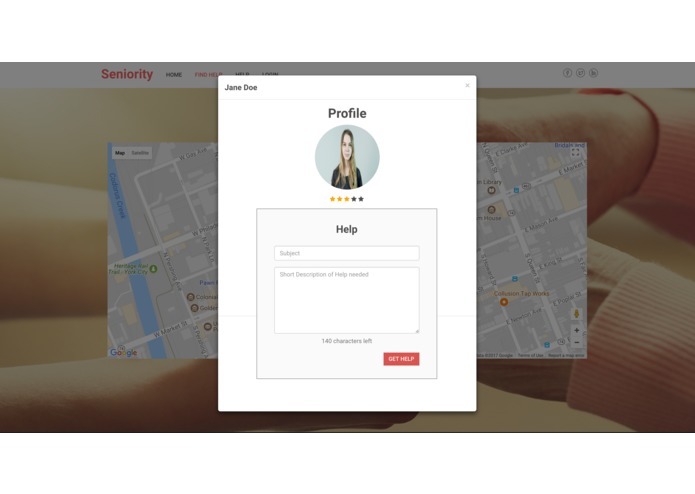 We believe that Seniority can be taken to a full-scale app and released to the public. 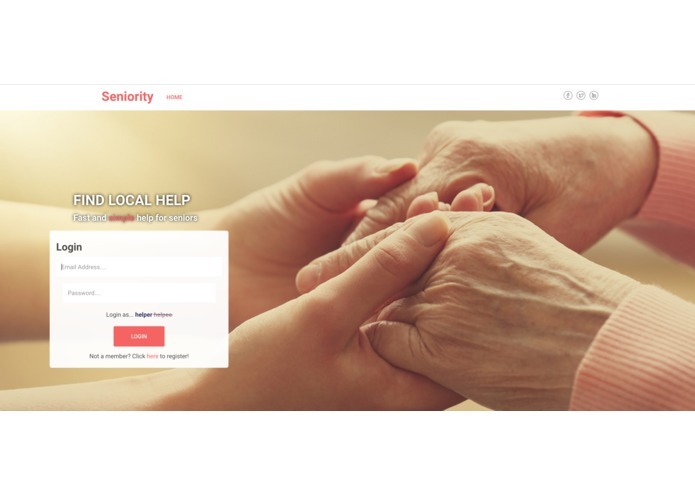 We really feel that Seniority serves a very unfulfilled need in society today. This need will only continue to grow as people age and as our lives become busier and busier. Our application has the potential to go full scale and become revolutionary. Student at Penn State majoring in computer Science with a minor in math.